The Azores are a mysterious island chain suspected, by some, to be the resting-place of the lost civilisation of Atlantis. Our little Azores island has its own mysteries. 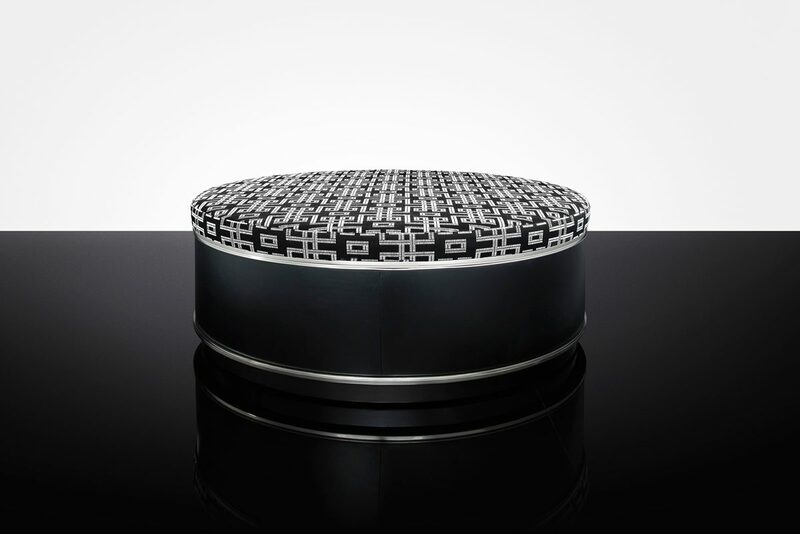 Is it an ottoman -or is it really a coffee table? Perhaps the strange geometric patterns marked on the upholstery may hold a clue. Preliminary excavations have uncovered a beautiful polished metal belt, and beneath ii, the deep darkness of leather.